What a great way to end spring! 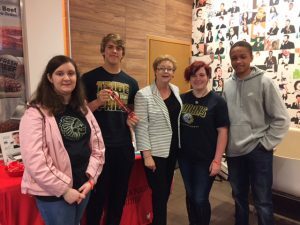 We are so happy to share the great turnout and results from our Pop Tab Parties this year. Everyone was welcome to drop off their collected tabs, including the schools participating in Pop Tab Pandemonium. 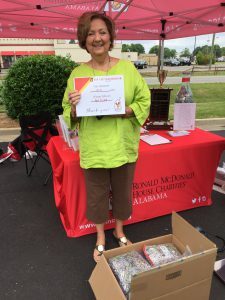 It was so wonderful to meet new friends in the community and hear the stories of how they started collecting pop tabs. 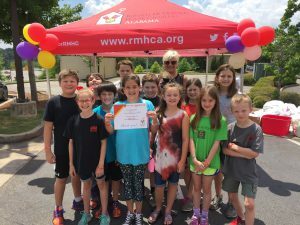 We met several teachers and community members who have personally stayed at our Ronald McDonald House and it is so moving that their community is giving back to help more families! 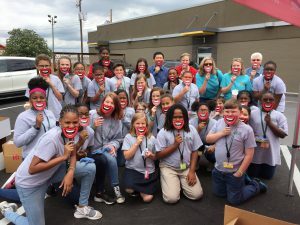 RMHCA would like to thank our McDonald’s owner-operators and crews for their wonderful hospitality. 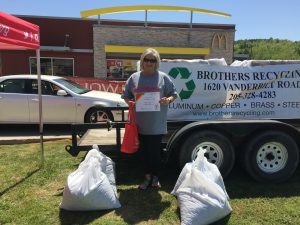 We also extend our thanks to the recyclers who hauled away the tabs: Brothers Recycling, A&S Metals, Inc., Capital Recycling and SA Recycling. Like so many things we do, it takes the whole community to be successful! Congratulations on all the hard work! 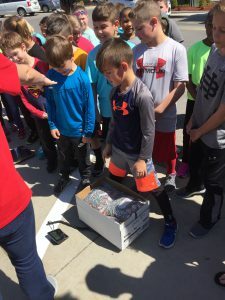 We are so impressed by each student we met and their passion for finding pop tabs to donate. 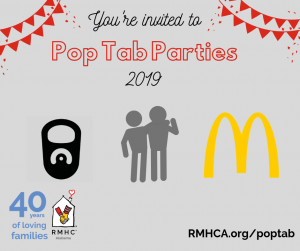 We plan to hold more Pop Tab Parties in 2019 so keep collecting! Check back to our website and social media for details in the coming months for details. If you want to get your school involved in Pop Tab Pandemonium, check back to our contest page in September for registration.